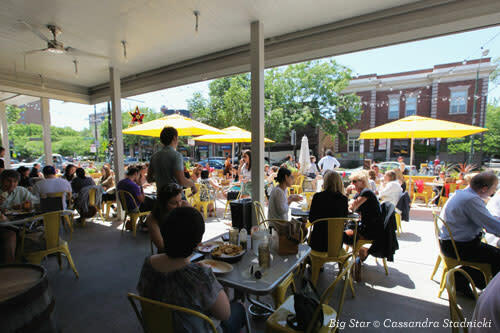 Plan your music-filled itinerary with a night in Uptown, a whole day in Wicker Park/Bucktown or Logan Square. 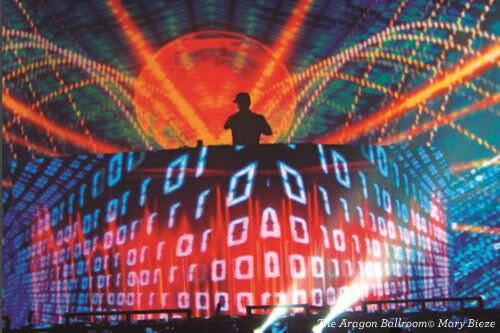 Chicago&apos;s vibrant music scene continues to drive trends worldwide. Here are our insider tips for tuning in live all across the city: which neighborhoods to haunt, where to eat before the show, and what you absolutely MUST see. Take your pick from storied jazz venues and Chicago concert halls to overflowing record stores. 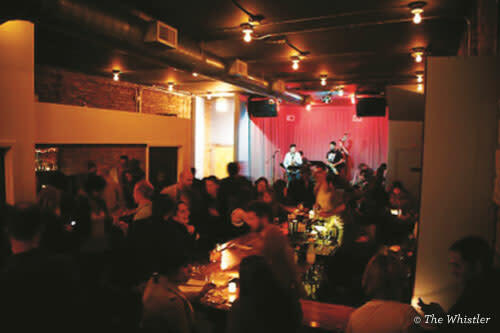 Chicago music hotspots Uptown, Wicker Park/Bucktown and Logan Square all make up this list — and span genres from blues to bluegrass to rock and reggae. This culturally diverse neighborhood has been an entertainment hotbed since the Roaring ‘20s, and a recent renaissance has sparked the restoration of many stunning Art Deco venues. The Aragon Ballroom boasts beautiful Moorish architecture and hosts everything from raucous salsa nights to indie up-and-comers. According to local legend, secret tunnels link the ballroom&apos;s basement to the nearby Green Mill, a posh Prohibition-era hideaway for Al Capone. 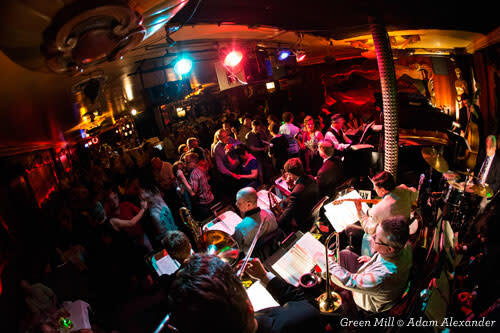 Today, the Green Mill is a sure thing for solid jazz any night of the week. For those firmly rooted in the modern, the Riviera Theatre is a great place to catch popular national acts like Father John Misty and Ben Folds. 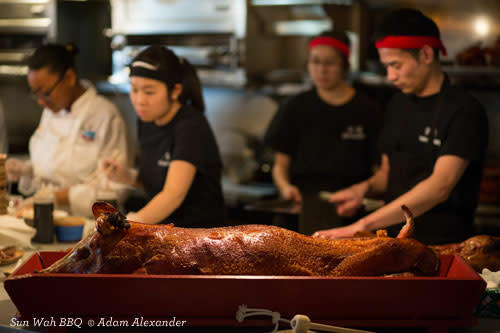 Savor a traditional Hong Kong-style meal at Sun Wah BBQ, or tuck in for a multi-course tasting menu at 42 Grams. The latter is BYOB, so be sure to grab a bottle of wine beforehand. By day, Wicker Park and Bucktown are jam-packed with funky book shops, independent designer boutiques and block after block of art galleries. There&apos;s an intriguing air about the nighttime scene — Subterranean is known for open-mic hip hop, while the Empty Bottle is a breeding ground for indies of every ilk. The Hideout, billed as "Chicago&apos;s Most-Loved Small Venue," is a great place to see everything from bluegrass to bebop in a cozy setting. Pair an unknown band with a Michelin-starred meal at Big Star, or enjoy a storied meal at bathhouse-turned-brothel-turned-bistro Trenchermen. Then head over to The Violet Hour for heavenly cocktails like the Tattooed Seaman or Temporary Secretary — all packed with fancy-pants ingredients. Logan Square has all the makings of a hipster hangout — divey clubs, art galleries, coffee houses and bars that boast about inimitable mixology — yet somehow none of the pretension. The Slippery Slope slides squarely into the divey club category, while the moderately sized Concord Music Hall draws a heady mix of national faves and obscure locals. Is it possible to sing the blues when everyone&apos;s really nice? 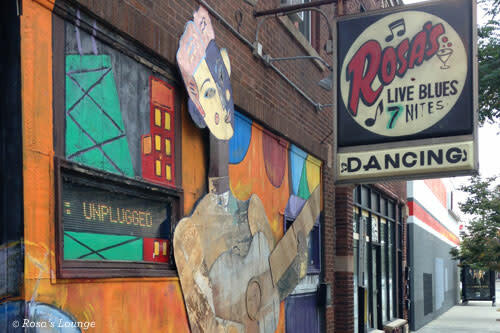 Find out at Rosa&apos;s Lounge, a snug little joint rightfully claiming to be "Chicago&apos;s Friendliest Blues Lounge." And if you prefer your music surrounded by art, The Whistler is the place for you; it&apos;s part gallery, part bar, part record label. 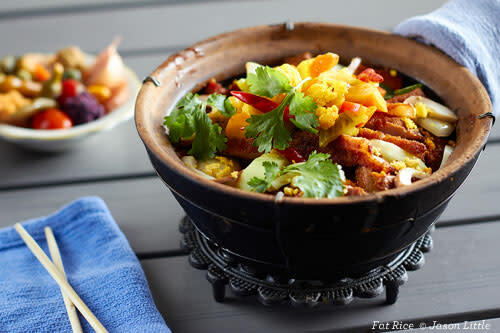 If you&apos;re out with your squad, don&apos;t miss a chance to dig in at Fat Rice — its namesake dish, an impressive mound of jasmine rice laced with sausage, sofrito, salted duck, clams, pickles and tea eggs, is enough for 4-6 friends. Just you two? Bag a pair of burgers at Owen & Engine.